Adulting: it’s hard. I’m now 30 years old, and I’m still overwhelmed by the days I have to #adult with the best of them. Back when I started college, there were so many things about life and money I didn’t know. In fact, it’s hard to believe it’s been about 8 years since I finished college. I’ve grown so much since that time, and it’s become my goal over the years to help those younger than I am make intelligent and thoughtful decisions about their finances. I should note it’s important to know these things now rather than later. The younger you are when you get your financial act together, the longer you’ll get to experience fulfillment and independence throughout the rest of your life. So, this particular post is for those of you out there who are looking forward to starting college this fall or those who know someone who is. In many ways, college is a time to test out the adult waters before you really have to navigate them all on your own. So, while you’re there, try a few of the money tips below. Even if your parents give you spending money for college, you should absolutely make your own money in school. Making your own money equates to freedom and independence. When I was in college, my parents put $100-$200 a month on a prepaid card for food and other expenses, but I had numerous jobs in college too. My first job with an actual paycheck in college was working at the special collections library. I made a whopping $5.40 an hour, and I will never forget it. Eventually, they gave me a raise to $6.40 per hour, and I felt like I made the big leagues. I also worked at a scrapbook store, taught dance to 3 year olds, and tutored on the weekends. I used my extra money for travel, for fun, and to eat out. Having extra money is great because you don’t have to ask for the things you want, and it gives you a sense of pride and ownership. It seems simple, but knowing what you spend is probably one of the simplest habits to start but one of the hardest to maintain. Much like exercising or dieting, tracking your expenses is great at first when the goal is fresh. Then, it gets tedious over time. However, if you use a free app like Personal Capital, you can link all your accounts and see your spending in one place. If you can get this money habit down as a college student, though, you’ll be far ahead of the rest of your peers in terms of money management. When you’re young, you feel invincible. However, there are a variety of emergencies and unexpected events that can pop up while you’re in college. You might have a sick family member you need to take care of, or you might get sick yourself. It’s also more common than you think to struggle with stress and depression during college and feel like you need to drop out of school for the time being. In fact, according to recent Allianz Tuition Insurance research, 43% of college students said they agree or strongly agree with the statement that they’ve thought about withdrawing from their college program. On average families estimate the financial loss from withdrawal to be between $9,000-11,000. Think about what $10,000 could buy. To protect your tuition money if you have to leave school, you or your parents should consider getting tuition insurance. For relatively little cost, it will give you financial security and peace of mind if you have to leave school. When you save your tuition money you help make sure you have the option to return to school later. For many people, credit cards can be a great tool for convenience. 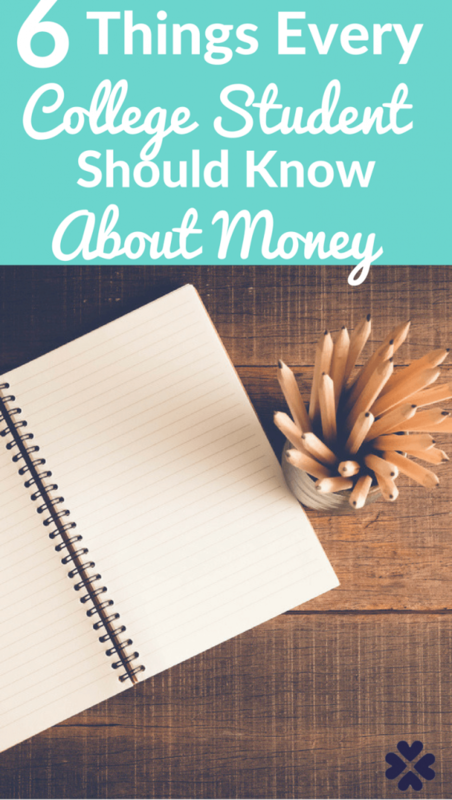 However, when you’re young and just starting out your financial life, it’s important to learn as much as you can about getting a credit card and the responsibility that implies. Since 2009, credit card companies are not legally allowed to market to college students within 1,000 feet of a college campus. This law, also called the Credit Card Act, is meant to protect college students. Before this law passed, credit card companies marketed heavily to college students, often offering free t-shirts and other items in exchange for filling out credit card applications. This often led to poor credit card practices, credit card debt, and more, especially for college students who weren’t educated on the topic. So, before you head off to school, talk to your parents about how to build your credit responsibly, what to do when you get credit card offers in the mail, and how to talk to credit card marketers who might approach you while you’re out and about off campus. When I was in college, I just accepted the student loans my school offered me. When I graduated, I didn’t even know how to find out how much I owed. I had to call my school’s financial aid office, and they had to walk me through the process of how to figure out what my debt numbers would be. That’s hard to admit now, but it’s true. So, now when I talk to college students as a financial expert today, I encourage them to be very proactive right from the start. Know exactly how much you’re taking out in student loans, and only take out what you will need. Add up your loans as you go through school, apply to as many scholarships as possible using apps like Scholly, and try not to borrow more money in total than you will make in your first year out of school. As mentioned above, I made my own fair share of money mistakes when I was younger. While I wish I hadn’t made many of them, each one taught me valuable financial lessons. The point is that you can absolutely have a successful financial life if you start saving, tracking and protecting your finances now when you’re young, but don’t feel like you have to be perfect when it comes to your money. For college students, this is going to be the first time many of you have responsibilities like paying rent or managing a budget. This might even be when some of you will get your first paycheck, file your taxes for the first time, and even experience your first share of hardship or a health emergency. So, in order to get through the ups and downs of college life and managing money, try to consider the tips I mentioned before. Trust me, your future self will thank you. Disclaimer: This post was sponsored by Allianz Global Assistance (AGA Service Company) and my business, www.CatherineAlford.com, received financial compensation for it. All opinions and money mistakes mentioned above are all from yours truly. These are great tips. While I avoided some of the bigger pitfalls, I wish I had been more financially literate in high school and college. I would have made a few changes in my choices (save more, not buy a new car, etc). I know right — can you imagine? The good thing is that mistakes teach us great things about money as you know! Great tips. Most are common sense, but far too many people think that money will cause you to fall ill if you keep it for too long. they have to spend it all. I still remember the time when my parents had urged me to take up a summer job and look after my own finances. They seemed to be harsh on me but it was my first lesson to be responsible towards my own finances. I started paying for my own insurance and followed a path that helps me even today! Hi just found your site through others…and this post hits home. My younger half brother is now in college as a freshman. This all seems like such solid sound advice at 30 but the million dollar question is how do you get it across to an 18 year old? I really try to give him as much advice as possible without sounding like his parent but you just have a different perspective as you get older (I am 27).